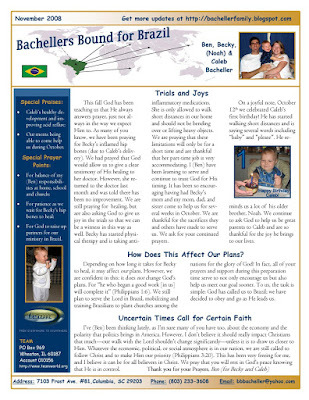 Hey folks, here's our prayer letter if you haven't received it. Let us know and we'll send our following ones to you! Thanks for your prayers.